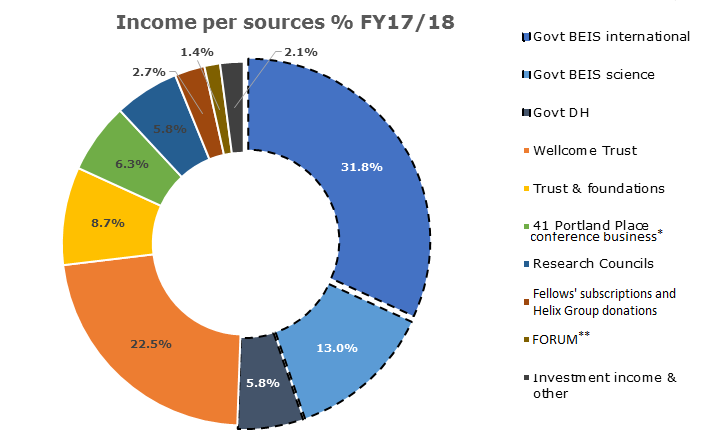 A large part of our work is funded by voluntary donations that augment funds we receive from a Grant-in-aid from the Department of Health and the Department for Business, Innovation & Skills and subscriptions from our Fellowship. The Academy relies on voluntary donations from various sources, including companies, charitable trusts and individuals, to carry out our work. We are incredibly grateful for this support which enables us to carry out our work. For information on supporting the Academy with a donation please click here.